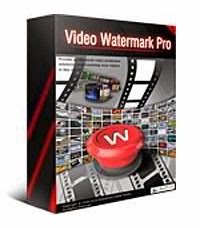 Watermark Software Video to Picture mampu mengkonversi hampir semua file video yang sering digunakan ke dalam format gambar seperti: JPG, BMP, GIF, TGA, TIF, PCX, PNG dan ICO. 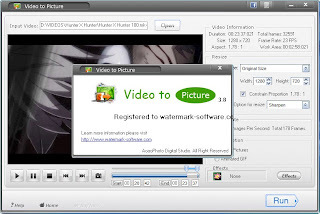 Anda dapat dengan mudah mengkonversi video file berfomat: AVI, MPEG, WMV, DVD ( VOB ), DVR-Ms RM, RMVB, dll untuk di ubah ke dalam bentuk format gambar. 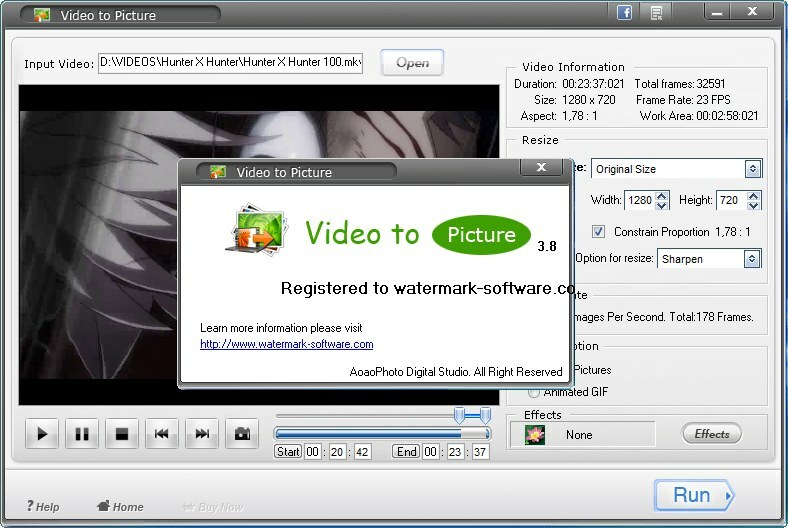 Dan, itu juga memungkinkan Anda untuk mengkonversi file video ke dalam bentuk gambar gif animasi. 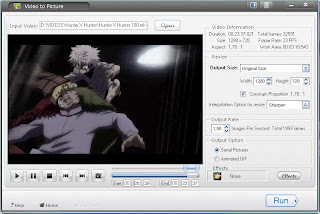 Video to Picture Converter provide Serial Pictures and Animated GIF to output mode. serial pictures for JPG, BMP, GIF, TGA, TIF, PCX, PNG and ICO images. Animated GIF for GIF only. You can via progress bar and manual input time for control per frame. Smooth--> Smooth edge without sawtooth, make picture looks vaguer. 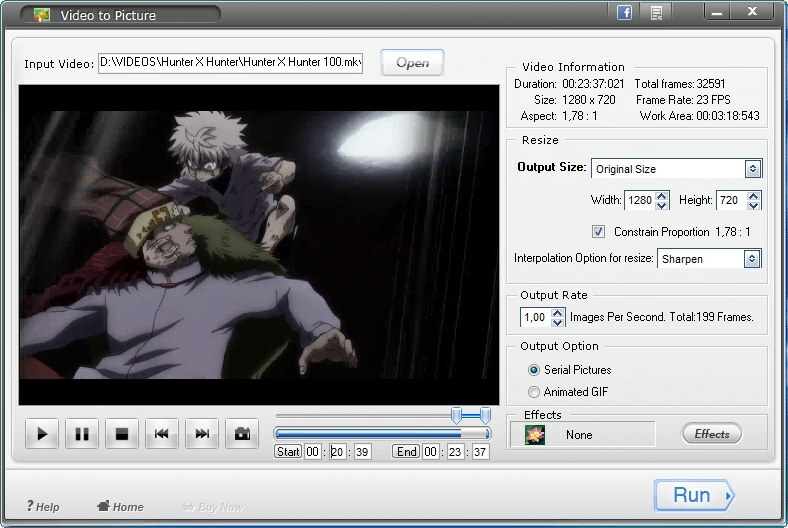 Display total frames in output, you can select X pictures per second for control speed in GIF animation, Video to picture support it only.